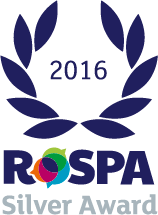 Kee Safety Logistics Ltd has been successful in the 60th year of the RoSPA Occupational Health and Safety Awards 2016. The company, based in Cradley Heath, achieved the Silver award in the prestigious annual scheme run by the Royal Society for the Prevention of Accidents (RoSPA). They will be presented with the award during a ceremony at the Hilton Birmingham Metropole hotel, on July 13, 2016, as the event marked its diamond anniversary.